I believe women have the ability to do one of the strongest things on earth and that is to give birth to children. 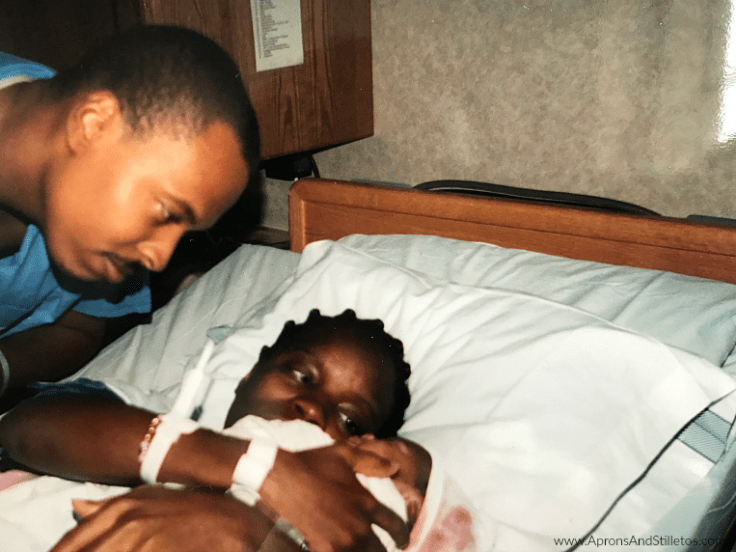 I’ve served in the Army and law enforcement and none of the training and endurance amounts to the strength it took to carry and give birth to four amazing kids while building an amazing career. Growing up I felt a certain stigma that women couldn’t do the same jobs, men did, so I followed in my mother’s footsteps and went after the most masculine jobs I could find. 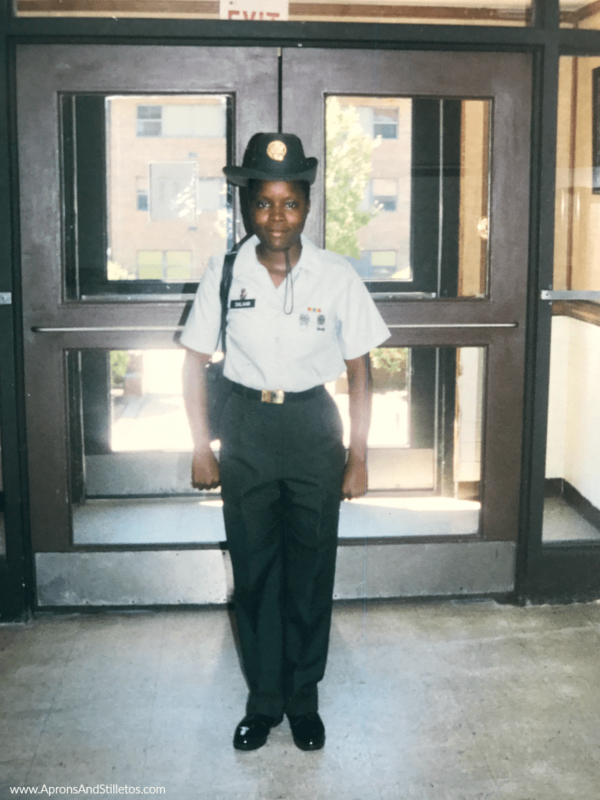 In my early twenties, I served in the Army and later in law enforcement. I pursued those jobs to prove that I was strong, fearless and just as capable as any man, but what I learned along the way is I was all of those things before those jobs. I also faced the stigma that women couldn’t be vulnerable but had to look out for herself even in her marriage. The 50-50 agenda was pushed a lot when I was growing up, but that’s not what I wanted for my marriage. I wanted something different and was willing to break the stereotypes that said women have to be tough and cold as ice to win. 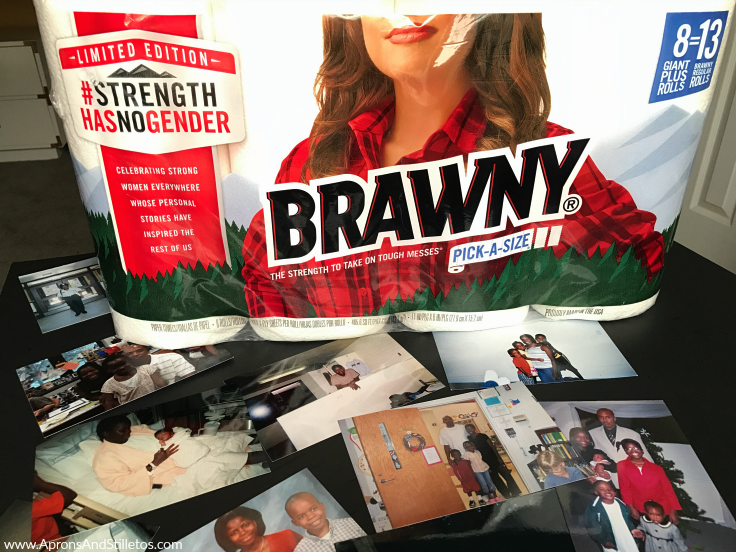 I’ve teamed up with Brawny® Pick-a-Size 8 Giant Plus paper towels to tell you about their exclusive to Walmart, limited-time Strength Has No Gender™ pack. 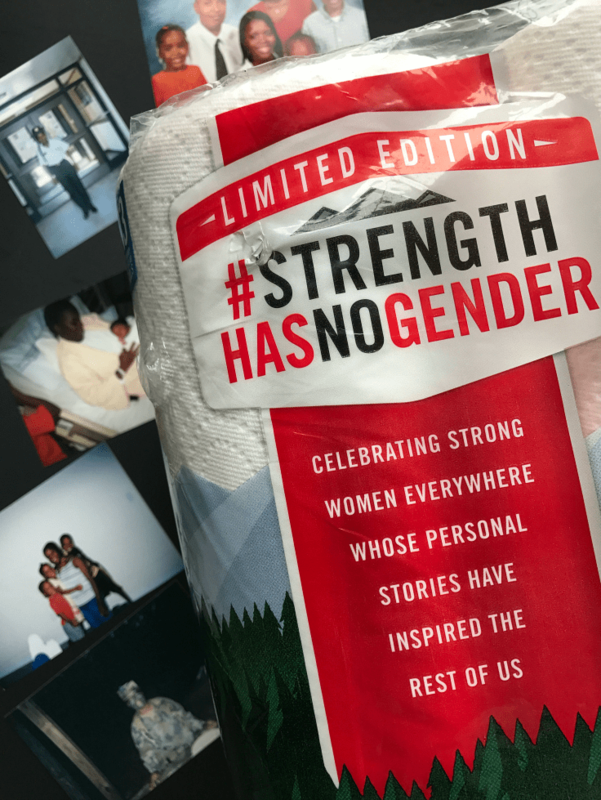 The Brawny man is stepping aside for a limited time during the Strength Has No Gender™ campaign to share the spotlight and celebrate women who are excelling in the homes and communities. The Strength Has No Gender™ campaign highlights the inspirational stories of everyday women in cities across America who have been breaking down barriers in traditionally male-dominated industries and empowering others. I believe women can demonstrate their strength in many ways a man can, but what makes us uniquely strong is our ability to be strong yet soft at the same time, just like Brawny® Pick-a-Size 8 Giant Plus paper towels. Like Brawny®, women are able to absorb life’s issues and keep doing what needs to be done. Early in my life, I sought strength in careers but I later found through marriage, motherhood, and entrepreneurship how strong I really was. At 24 years old, I retired and became a stay at home wife and mom. I thought that was the worse decision I could have made. 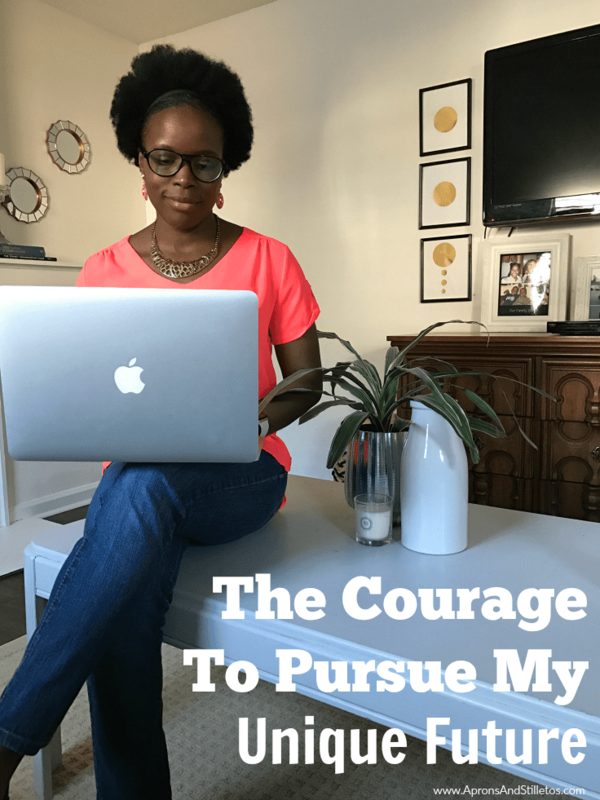 I was giving up my own income and relying on my husband. I was giving up work experience I thought I’d need to reenter the workforce when my kids got older. My future felt so uncertain because I was doing things so differently from my friends. While they were building careers, I was exclusively building a family. I started a website as an outlet to share my journey from leaving the workforce to learning how to manage a home. Two years later, I was making an income from that site. There were many uncertain aspects of my new found career because I didn’t know anyone who was running a website, but I did the work to figure things out. The best part about my journey is I didn’t’ have to give up being a wife and mom at home for my career. Leaving the workforce at 24 years old was one of the scariest things I’ve every done, but also one of the bravest and most rewarding. That decision allowed me to live my life on my terms. Instead of giving up a career or missing out on being home to raise my family, I ended up with the best of both worlds. Do you have a personal story where you demonstrated strength you didn’t know you had? Share it in the comments below or else I’ll feel like I’m just here talking to myself. Loved reading your post. As women, we go through so much in life. After my kids were born, I too made a decision to stay home. My whole blogging journey was the result of that. I am glad as a women I had the freedom to make those choices. This was a beautiful story that you have shared with the world. Thank you for your service in both the military and as an officer. Congratulations on your partnership with brawny. Great job. First of all, love the browny campaign! And second, your story is very inspirational. Thank you for sharing. Your story and journey is so inspirational and I can imagie how you felt when you left your job. I am happy to know that building a family and growing your business online has been fruitful to you. Thanks for sharing this with us. Love the new Brawny campaign! Thankfully, my husband and I both have careers we love. It means splitting up the work at home. The new paper towels are a reminder of the shared duties of many families. Thanks for sharing your story Crystal about how you and your husband balance working job that you both love while managing your home! Such an inspirational story. It is not common to hear people retiring at such young age but guess what, God had a plan for you and you definitely ended up with the best of both worlds. It was good that you had experience in the male dominated roles. Women are capable of almost anything! You are so right Shevy. I have one plan but God had a totally different plan for me and his plan was perfect. You really did end up with the best of both worlds. The Perfect topic for International Women's Day. I'm so glad I could share my story with you guys! Sometimes the best things are made available once we step out of our comfort zone. I did the same thing too. I left my corporate job to focus on a work at home job. It iwas difficult at first, but as soon as the business picked up, it was all roses for me. I got to work in my pajamas, and I was able to make better home cooked meals for my family too. Thanks for sharing your story AnneMarie I'm glad everything worked out for you. Sometimes our biggest reward is outside of our comfort zone. This is such a great post. 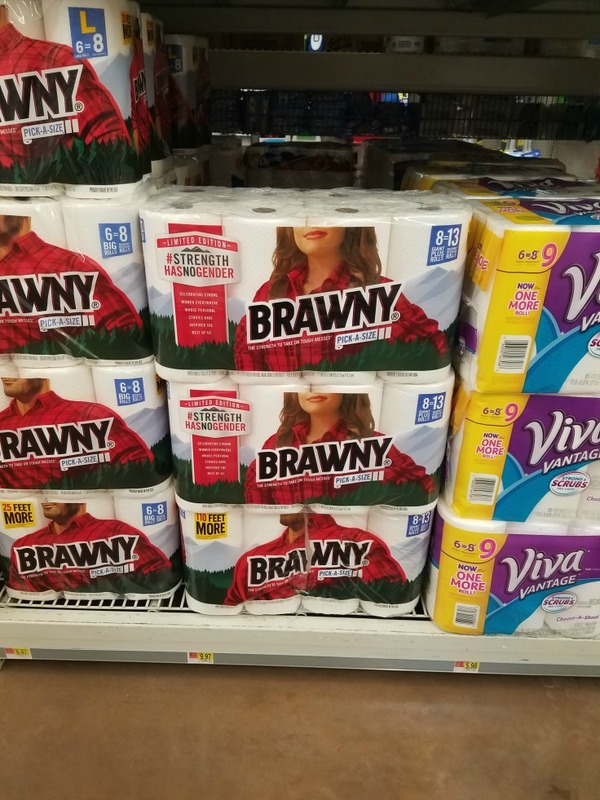 I love those Brawny, I need to pick up some of these. Thank you for sharing. That's cool that Brawny is participating in this kind of a marketing campaign. It's also awesome that you stepped out and did something you were unsure about. It's brace and awesome it has worked for you. Thank you for serving. I am happy you are pursuing your passion. Unfortunately so few people will do such. Continue on the path of increase. I LOVE the way you folded your story into the Brawny campaign. Yes, indeed, Strength has NO gender! Well done my friend. Well done. Go Brawny! I can't say that I've seen the new paper towels. I'll be looking for them. What an incredible life. I didn't even realize the new packaging. Women are awesome We rock. I have not seen these packages. Thanks for sharing your big bold story. Congrats to you on finding that courage to pursue your future! It can be terrifying but I try and tell myself I'd rather be scared for a little bit than have regret forever. I agree with so much here. I also set out to break sterotypes, and have broken many. I also served in the Army, and I got a PhD, work as a scientist. Becoming a mother does change you in ways you don't expect, I agree. And while I still work outside my home, I admire that you chose to stay home with yours! I didn't even realize Brawny was doing this campaign. I don't think I've seen those new packages and I buy Brawny. I left a career to raise a family too and I love that I was able to do it. What an amazing post for inernational womens day! Women can really do anything. I love this! And how appropriate that this should fall on International Women's Day! I love this. Thank you for your service! I love these new packs! I need to pick some up. Thank you for your service! My husband is actually in the Air Force and when he retires he plans on going into law enforcement.